This was it. Hundreds of miles and hours of driving later. 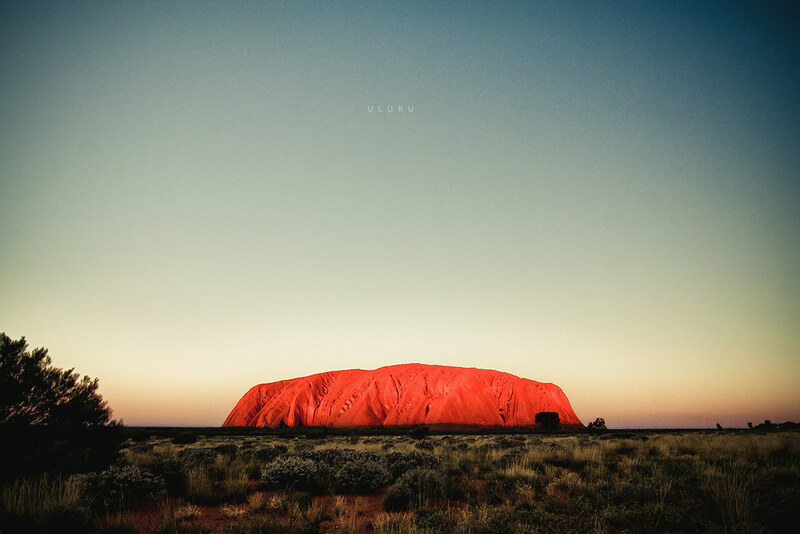 The majestic Uluru seen here glowing in stark contrast to the desert plains in the final rays of light for the day. 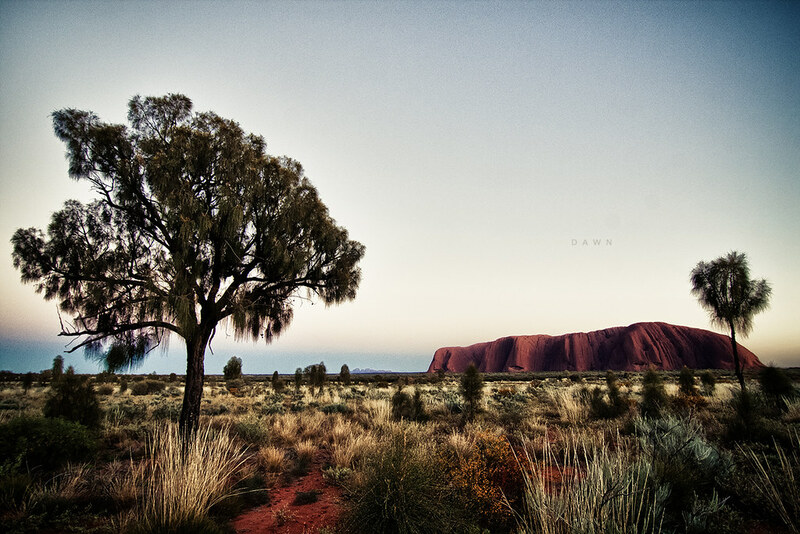 The south-eastern face of Uluru at dawn as seen from the Talinguru Nyakunytjaku lookout. The Kata-Tjuta’s are also visible in the distance. 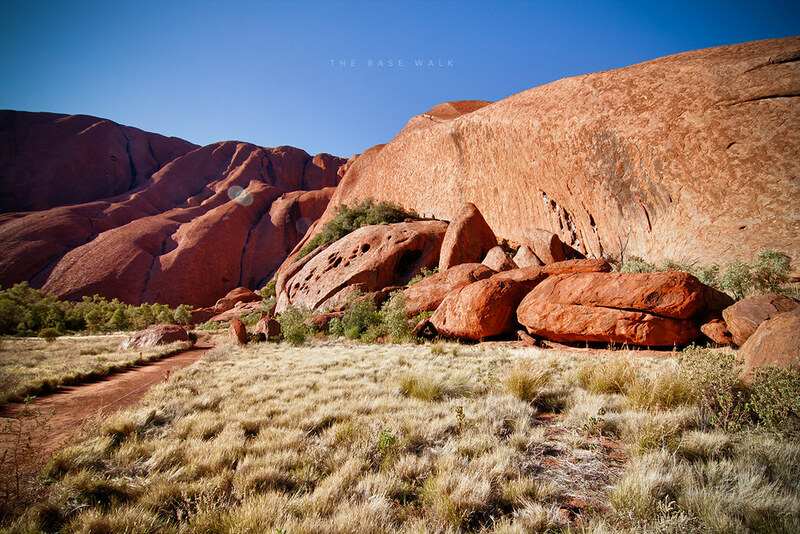 The actual shape of Uluru was far from my expectations from what the postcards show. Doing the 10.6km base walk around the rock showed amazingly diverse geological features of the monolith such as this view of part of the north-western face of Uluru. I also really like the subtle and elegant text on each one.